It’s the last night for the few remaining artists on “The Voice” to show-off their talent and stake a claim in the live shows. There are only three spots left and coach Usher has the difficult task in selecting three of his five artists to remain in the competition. After tonight, the remaining talent will make up the Top 12 where all the teams will compete against each other to be “The Voice” winner. 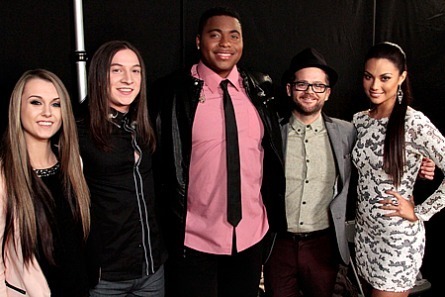 Team Shakira – Tess Boyer, Kristen Merlin, Dani Moz; Team Adam – Kat Perkins, Delvin Choice, Christina Grimmie; Team Blake – Sisaundra Lewis, Jake Worthington, Audra McLaughlin. T.J. Wilkins is in the competition not only for a music career, but also to get his family out of South Central, Los Angeles. T.J. decided to sing “Tell Me Something Good” by Rufus and Chaka Khan. Adam laughed at Shakira’s ‘ace under your sleeve’ remark, (the correct saying is ‘the ace up your sleeve’) and said to T.J., “You are a breath of fresh air because you really want to entertain people.” Adam told him to keep that as his target and he will do very well in his singing career. Usher said, “It’s always great to see a very proud representation of a genre of music that I respect and love. You reminded us of a careless nature of music. You completely killed it. If this is the beginning of the choices I have to make, it’s going to be hard.” Blake agreed that T.J. set the bar high. 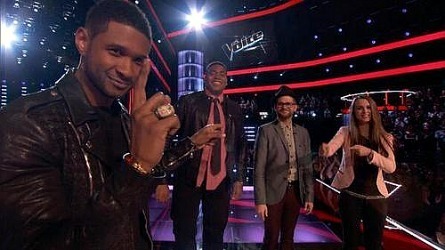 Usher re-enforced, “you understood that this is a live or die moment. You’re recognizing things that work for you or against you. I hope you are ready to be committed to your music every time that you step onto the stage. His parents were both in heavy metal bands, so he said it’s in his blood. But, Stevie Jo wants to be an R&B artist. Singing “The Thrill Is Gone” by B.B. King. He said the song expresses the kind of artist that he wants to be. Usher was pleased, “I’m a fan of your growth. This is a song about heart and pain. You did a great job of connecting it with you. You have to fill the energy of the room. You believed it. And like I said, if you don’t believe it, no one else will.” Stevie Jo said he hopes this risk will pay off for him in going on to the live shows of the competition. “He’s still an untapped resource,” Adam said about Stevie Jo. Bria is 18 years old. 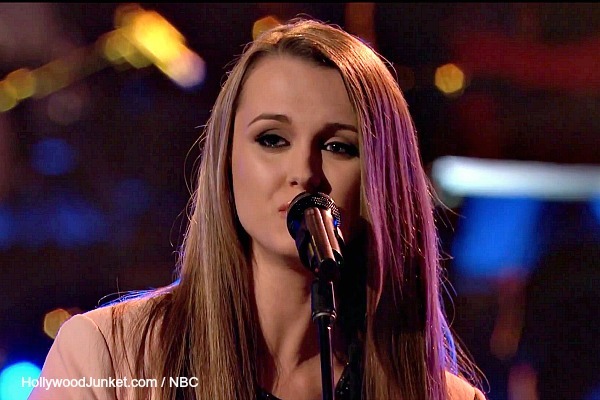 She was a student in high school and playing gigs with the help of her father before going onto “The Voice”. Four coaches turned their chairs for her during her blind audition. She said she chose Usher because he pointed-out the flaws in her voice. “Bria Kelly is the reason why Team Usher is a threat,” said Blake. Bria is singing “Wild Horses” by The Rolling Stones. Stop Looking At The Shoes! Blake told Josh that he is one of his wife’s favorites on the show and that he is one of the best singers on “The Voice this year. “You’re that good” Blake told Josh. Blake also told Josh that he’d try to steal him if he had steals left. Shakira said, “I’m one of your biggest fans on this show” and said he was comfortable and his high notes seemed effortless. 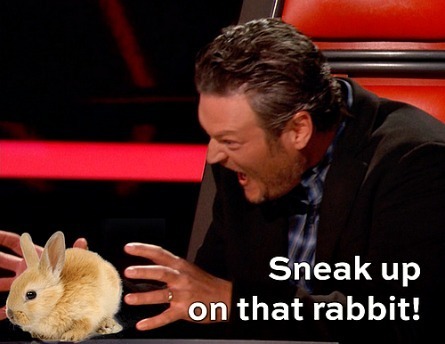 Watch THE VOICE season 6 episode 19 “The Playoffs, Part 3” first aired by NBC on Tuesday, April 15, 2014. This full episode is now available at HOLLYWOOD JUNKET until 06/19/14 courtesy of NBC. ENJOY!